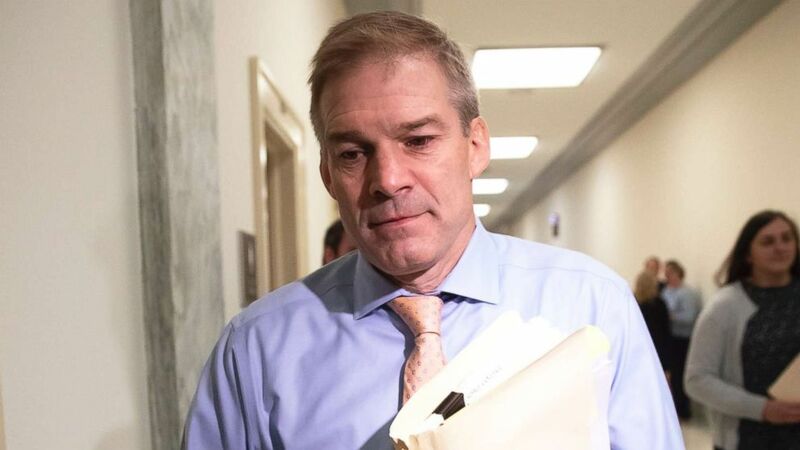 Ohio Republican Rep. Jim Jordan attacked Democrats over the new bipartisan Supplemental Nutrition Assistance Program deal, days after his party announced that they intend to drop work requirements on the new five-year bill. Jordan, co-leader of the conservative House Freedom Caucus, took to Twitter to vent about the missing work requirement for Supplemental Nutrition Assistance Program or SNAP recipients. House Republicans and Democrats had been locked in a months-long standoff over work requirements for SNAP recipients, that ended last week when lawmakers on both sides of the aisle announced they’d reached a deal which didn’t include the Republican-backed work requirement. (J. Scott Applewhite/AP) Rep. Jim Jordan, a member of the House Judiciary Committee, arrives on Capitol Hill, June 27, 2018. Jordan's tweet on the scope of SNAP took aim at Canada’s population of 36 million people, which is less than the 42 million Americans that receive SNAP, according to the Center on Budget and Policy Priorities. After that, they must work 80 hours a month, do unpaid work through special state-approved workfare programs or participate in full-time education or training activities. Although at 36 states have waved at least some part of the 20 hours a week work requirement. In Ohio, Jordan’s home state, 13 percent of the population receives SNAP benefits. That number mirrors the national average. 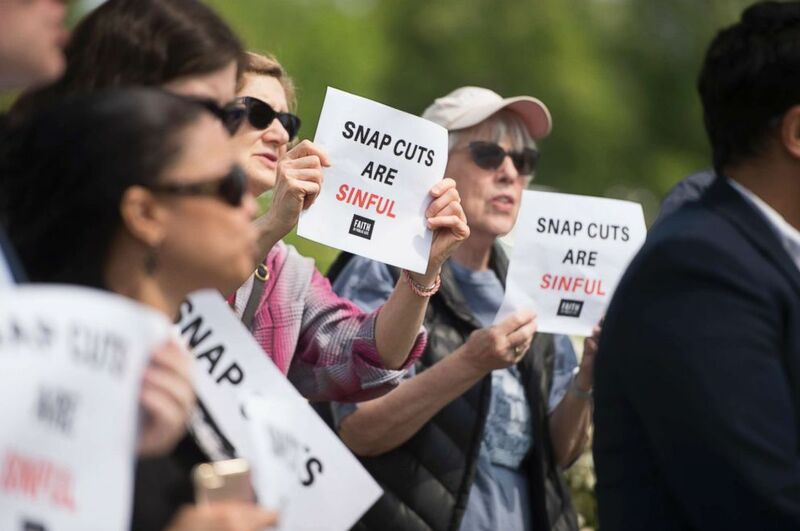 (Sarah Silbiger/CQ Roll Call via Getty Images) Supporters listen as Rep. Donald McEachin holds a news conference with faith leaders to "urge lawmakers to reject proposed cuts to the Supplemental Nutrition Assistance Program in the Farm Bill" on May 7, 2018. However, according to the Department of Agriculture, 43 percent of Americans receiving SNAP benefits live in a household with earnings.